In 2018, major Canadian provinces have started introducing the Expression of Interest (EOI) for their application intakes. Previously, varied programs of the provinces accepted the application on the basis of first come, first served pattern. But, now the new EOI system successfully replaced it. Presently all who are interested in Canada immigration for different provinces should first submit their EOI profile. 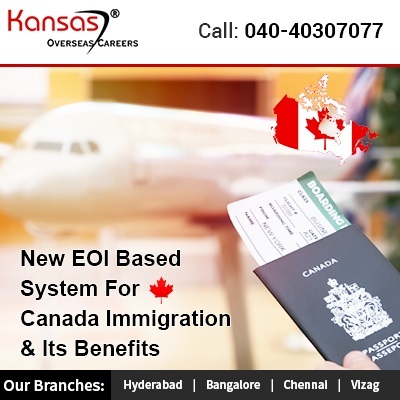 Canada Express Entry (EE) already follows the EOI system, since its launch in the year, 2015. The candidates, after the submission of EOI profile in the online system, for their preferred provincial nominee program. The applications get reviewed and PNP selects those candidates who are suitable to meet the market needs of the provinces and those who can help to grow the economy. The selected candidates get an Invitation to Apply (ITA). Those individuals who have received the invite have characteristics required to settle in the province. The new EOI system would majorly focus on Human Capital factors rather than follow the first come, first served basis. Applicants would receive sufficient time for application submission. Earlier, the applicants had a few hours for application submission (through a first come, first served system). The aspiring applicants are also required to pass a medical exam and get police certificate. The above requirements are mandatory. The applicants find it easy to get the provincial nomination and later receive Canada PR as well. The PNP, time to time update varied rules as well as procedures so that the applicants without hassle can migrate to any of Canadian provinces. Aiming to settle in Canada permanently, get in touch with our Canada visa agents to know the updating rules of all the Canadian province to make your Canada immigration process easy.